From the late 1920s onwards, forced collectivisation, state-directed industrialisation, mass purging and the party's control of culture, refashioned Russia and gave birth to a new type of society. The 'second revolution' and its aftermath remodelled the Soviet State and the Bolshevik party, restructured all institutions and reconstituted all social relationships. Millions found their lives changed forever. Nothing was untouched and no one was unaffected. Presiding over these momentous changes was Joseph Stalin, one of the twentieth century's most disturbing figures. "The Stalinst Dictatorship" looks at the regime from three different perspectives. 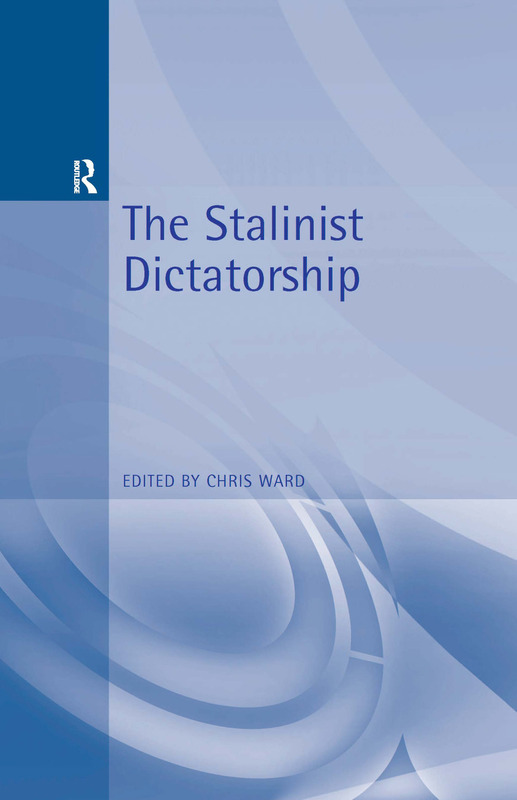 Section one focuses on interpretations of Stalin's character and attempts to explain the everlasting puzzle of the relationship between events and personality. Section two looks at Stalin's role within the Soviet Union, and sees him as only one part (albeit an important one) of a complex culture of politics and administration. The final section examines the ways in which the Soviet people handled socialism, and how Stalinism functioned on the ground. The vicissitudes in Stalin's reputation reflect the vicissitudes of the history of the twentieth century itself. Stalin became a symbol of a new system, a 'socialist' alternative to the capatilist path. Approaching Stalin; situating Stalin; Stalin's personality; approaching Stalinism; absence and presence; rationality and irrationality; living Stalinism; the second revolution and after; the purges; Stalinist culture.